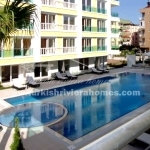 Within easy distance to the sea and local amenities is this spacious Konyaalti apartment for sale at a great price within a well-kept and clean complex of apartments in the popular area of Konyaalti. 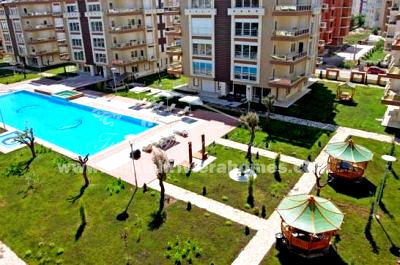 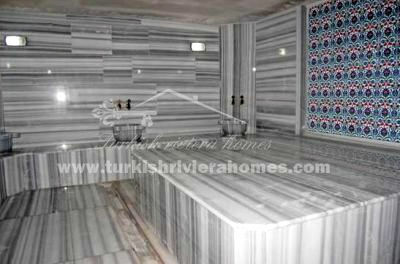 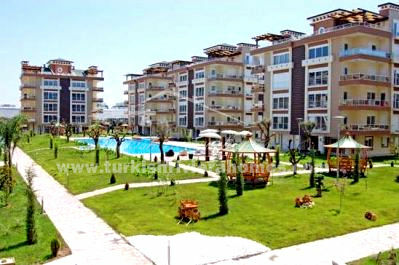 High class luxury complex with private spa center located near to the famous Konyaaltı Beach. 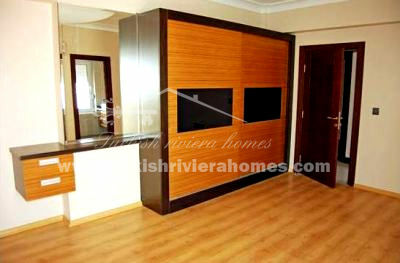 Here you will find peace and tranquility, as well as comfort and high level facilities. 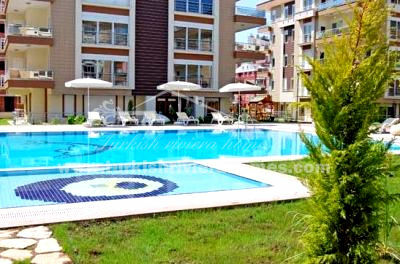 The complex is designed for those who like to dream without limitations so you can expect only the highest quality in a matchless location. 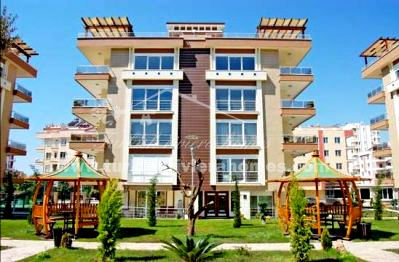 This exclusive concept comprises 10 blocks with just 98 flats built on an 11,978 m² land plot. 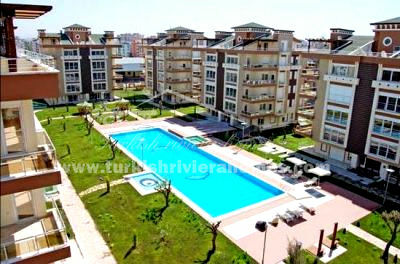 Indoor and outdoor car parking, Olympic Outdoor Pool, Children’s Pool, Heated Indoor Pool, Turkish Bath, Sauna, Fitness Hall, Ladies’ and Gentlemen’s Showers, WC, Locker Rooms, Steam Room, Massage Room, Vitamin Bar, Waiting and Resting Areas, Children’s Playground, Outdoor Fitness Park, Tennis Court, Basketball Court, Generator, Walking and Cycling Paths, 24-hour Security, Visitor Waiting Lobby, Administrative Meeting Room, Barbecue Areas, Free WiFi Opportunity, Gazebos in all Common Areas. 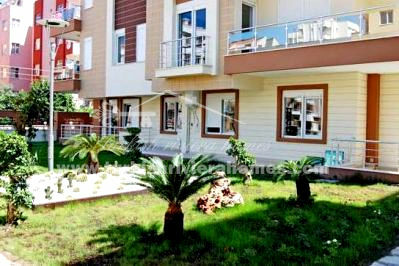 We recommend this property as a perfect permanent home, holiday home, or profitable investment with high rental potential.